Facebook, Google and AT&T have had their share of privacy issues, hacked sites and third party infiltrators to name a few. The exponential growth of computer use and social media within all levels of government, corporate and personal use, privacy advocates feel it is time to develop a core ‘standards of use’ practices that consumers can expect to be employed when signing in and registering with websites. Social networking is now a necessary part of business, but who is protecting the users? These are some of the issues facing privacy advocates, computer scientists and corporate social media specialists at the four day Conference on Computers, Freedom and Privacy (CFP) recently held at San Jose State University. As Jon Pincus, Co-chair of the 20th CFP says, “Everybody agrees the value of a social network is its users”. He goes on to say that a social network bill of rights may be in order. This is as a direct response to the recent Facebook privacy changes that occurred in April of this year. The social media bill of rights was on the agenda at the conference. Things like how websites should handle private consumer data, security of data, honesty and the ability for site users to remove their data from the site when and if they leave the site were all up for discussion. A first run at the bill was developed and is provided below. For more information, and to vote, “aye” or “neigh” on the bill of rights visit the website to cast your vote. 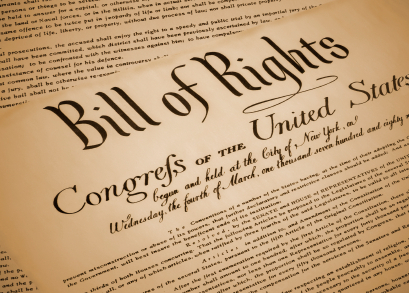 Also follow the happenings at #billofrights. 2. Clarity: Ensure that policies and terms of service are easy to understand. 3. Freedom of speech: Don’t censor without a clear policy and justification. 4. Empowerment: Support privacy-enhancing and assistive technologies. 5. Security: Treat my data as securely as your own, and notify me if it is compromised. 7. Control: Let me control my data, and don’t share it with others unless I agree first. 8. Predictability: Don’t change who or what sees my data without my consent. 9. Right to know: Show me how you are using my data and allow me to see who and what has access to it. 10. Right to self-define: Let me create more than one identity and use pseudonyms. Do not link them without my permission. 11. Right to appeal: Allow me to appeal disciplinary actions.